Mark your calendars for the annual SES Run/Walk/Move fundraiser. This event will be on Friday, October 20, as a lovely kick-off event leading into the Harvest Fair on October 21. This school-wide fundraising event is organized by the SES PTSA and family volunteers with collaboration and support from school staff. SES Run Walk Move is similar to a traditional jog-a- thon where participants gather pledges from sponsors and run or walk laps around the school. At SES, our participants can also earn â€œlapsâ€ by dancing with a Northwest Dance Project instructor. Pledges may be made as lump sums or per lap. The idea is for families and others to support the students in any way they can, be it in dimes, dollars, running along side your student or cheering. The money raised from this event goes towards funding the SES place-based- learning curriculum and events. Last year this fun-filled event raised over $12,000 for our school! Help your student(s) gather pledges through the traditional paper forms or online. And new this year, you have the option to also ask friends and family to donate online by setting up a Walkstarter webpage. With a parent or another adult, students can visit sunnyside.walkstarter.org and set up a page in minutes. Each participant can visit sunnyside.walkstarter.org and create a webpage, setting lap and fundraising goals with a custom avatar to share with potential donors via email or social media. Donors simply click the link and make a pledge in a few easy steps. Parents and kids can monitor progress toward their fundraising goals and easily send thank-you emails from the site. Walkstarter is private and secure, so no one can get to your childâ€™s page unless they have your unique URL.Note: You can get donations on the paper form, on the PTSA website, through Walkstarter or a combination! Whatever works best for you, your family and your sponsors. Help your student remember to bring a water bottle and wear weather and activity appropriate clothing and shoes for the event day on Friday, October 20. 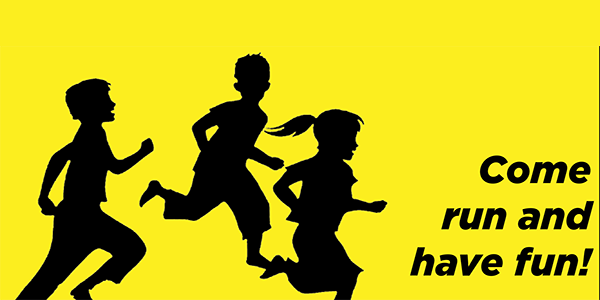 Join us on the day of the event to cheer our students, run or dance along with them, and/or help tally laps. Due to new fences on our school grounds, this yearâ€™s course will differ from prior years and will go around the entire school. We plan to have supporters stationed around the school to help cheer and monitor students. Turn in your students’ pledge forms and collected pledges to the SES office or by online payments by Wednesday, November 1.